The Rochester Red Wings have announced new security measures designed to enhance the overall safety and fan experience at Frontier Field. These measures will be in place for all events and will be implemented beginning with the 2019 season. 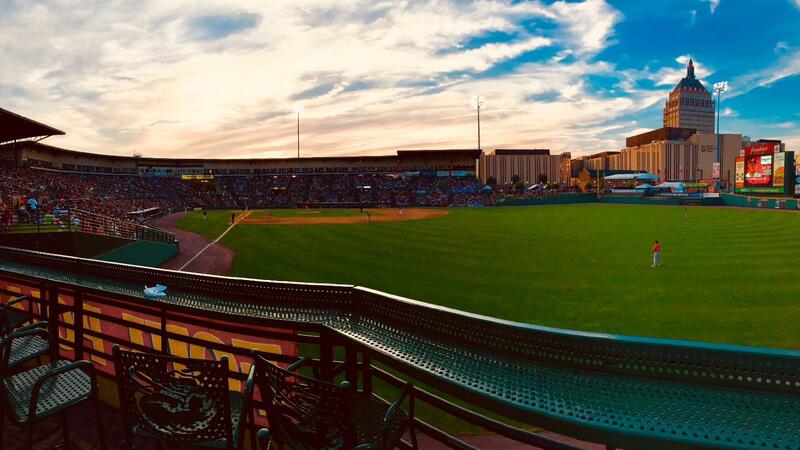 "Fan safety is paramount to every event we host at Frontier Field while simultaneously providing the best possible fan experience," said Naomi Silver, President/CEO/COO of the Red Wings. "We feel that these changes will help us accomplish those goals as we embark on another fun season of Red Wings Baseball beginning April 11th." Under the new security initiatives and in accordance with County law, Frontier Field will be a smoke-free facility. There will no longer be a designated smoking area at the ballpark, and fans will not be permitted to smoke on the grounds for games or other events. This also includes the use of electronic cigarettes. Last season the Red Wings took the first step to becoming a smoke free stadium when they banned smoking on the suite level. Another new security measure will be the use of hand-held metal detectors as fans enter the ballpark. All patrons will be subject to screenings for all events at Frontier Field. This practice is also becoming the norm at professional and collegiate sporting venues across the country, and their use is recommended by local, state, and federal law enforcement agencies. The following long-standing security policies will remain in place: no outside food or beverage, firearms, knives, glassware, silverware, screwdrivers and other tools, cans, drones, coolers, lawn chairs or nets used to catch balls will be permitted at Frontier Field. Bags no larger than 16" x 16" x 12" are allowed, as has been the case for several seasons. All bags will be inspected by security upon entry, and will remain subject to inspection at any time while on the stadium premises. Security has the right to refuse attendance to anyone with a bag that is too large to inspect or to anyone who refuses to cooperate with the inspection process. Storage at Frontier Field facilities is not available except as noted below with regard to strollers. Fans are encouraged to come to Frontier Field with bags that can be easily inspected. Clear bags are recommended. Bulky items such as jackets and blankets should be removed from bags and hand-held to ease the inspection process. A special gate with metal detector screening only will be available for fans with no bags to help expedite their entry, as is the case at numerous venues including Disney properties. Fans are encouraged to be an active part of keeping Frontier Field a safe environment. The ballpark participates in New York State's See Something, Say Something program. Fans should report any suspicious activity to the nearest Red Wings staff member, security or police officer. Any unattended item could pose a danger and should be treated with caution. If fans become aware of a suspicious bag or package they should notify the nearest Red Wings staff member, security or police officer. There is a no re-entry policy in place at Frontier Field. Fans will not be permitted to re-enter the ballpark once they exit. A copy of this release will be available anytime at RedWingsBaseball.com and during games at Guest Services. Rochester opens the 2019 regular season on Thursday, April 4 at 7:05 p.m. at Lehigh Valley and the Home Opener is on Thursday, April 11 at 6:05 p.m. against the IronPigs. Single-game tickets are on sale now at RedWingsBaseball.com and the Ticket Office opens for the first time during the third Baseball's Back Bash on Friday, March 29 at 4 p.m.